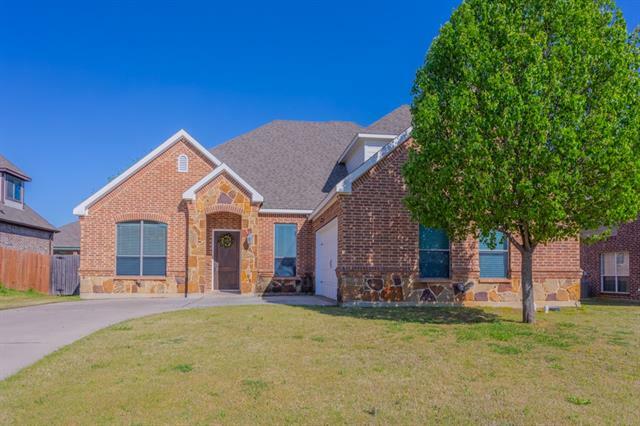 All Kennedale homes currently listed for sale in Kennedale as of 04/20/2019 are shown below. You can change the search criteria at any time by pressing the 'Change Search' button below. 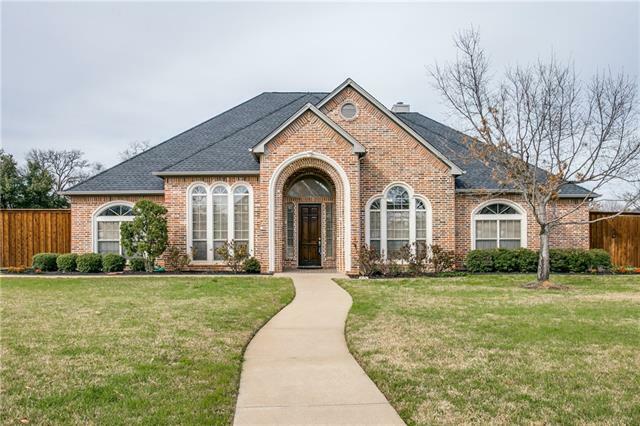 If you have any questions or you would like more information about any Kennedale homes for sale or other Kennedale real estate, please contact us and one of our knowledgeable Kennedale REALTORS® would be pleased to assist you. "PRICE IMPROVEMENT - Gated equestrian estate home tastefully remodeled in 2014. Large backyard with pool perfect for entertaining. Upstairs bedroom could be used as second master. Downstairs master bathroom is ADA compliant and features over-sized custom shower. Gorgeous chef s kitchen with industrial Kitchen-Aid appliances, two islands, three sinks (with disposals), and Brazilian granite, hot-cold pot filler, six-burner stove, two convection ovens, and two dishwashers. 60X40 barn with six "
"Seller will consider owner financing! 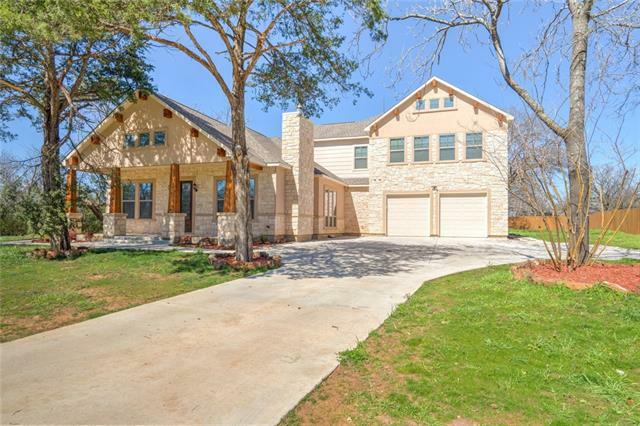 Located just minutes from Downtown Fort Worth or Arlington, this magnificent 5 bed 4 bath custom built estate on 1 acre is a must see! Upon entry, high ceilings and beautiful wood flooring flow throughout! 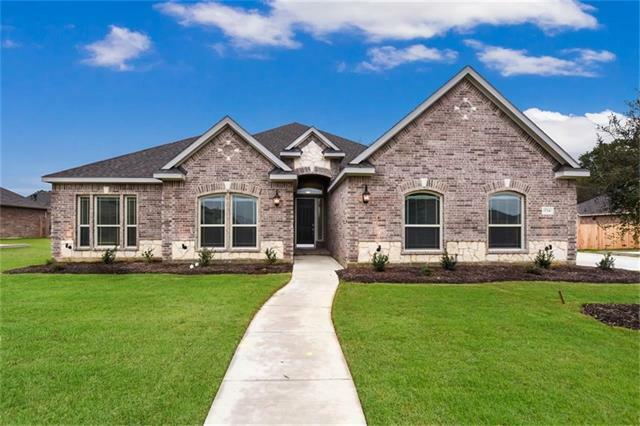 Home features an open concept split bedroom floor plan, with 4 bedrooms on the 1st floor, 3 living areas plus game and media room, and additional air conditioned 292 sq ft kids adventure suite not included in sq ft total. 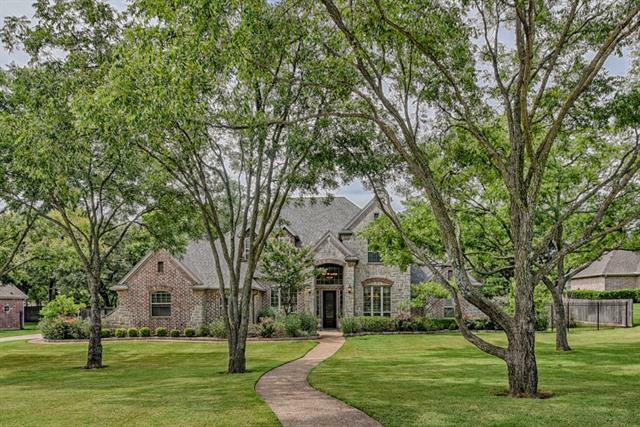 Upgrades include granite and quart"
"ELEGANT, QUALITY CONSTRUCTED AND A TRULEY CUSTOM ONE OF A KIND HOME ON A MANICURED .621 ACRE TREED SETTING! DETAILED STACKED STONE AND BRICK MASSONARY SURRUNDED BY SEVEN RAISED ROCK LINED FLOWER BEDS, A PARK LIKE SETTING! COMPLETELY UPDATED IN NEUTRAL DECOR, SOARING CEILINGS, ABUNDANCE OF WINDOWS OFFERING NATURAL LIGHT OVER LOOKING THE LUSH LANDSCAPED GROUNDS, DETAILED CRAFTSMANSHIP AND WELL APPOINTED, ALL HARD SURFACE FLOORS WITH THE ACCEPTION OF THE 3 UPSTAIRS BEDROOMS, SECOND MASTER, JACK AND"
"Incredible custom home that has been recently updated with 3 HVAC systems, water heaters, replaced double pane windows throughout, upgraded carpet, interior and exterior paint and SS appliances. The office has a wall of custom built bookcases. Wood floors in the entry, study and formal dining. The gourmet kitchen has double ovens and a gas cook top. Master suite has an updated free standing tub and 2 separate closets. The bathrooms have updated tile, tubs, toilets and granite tops. Dual stairca"
"WOW!!! This home wont last long! 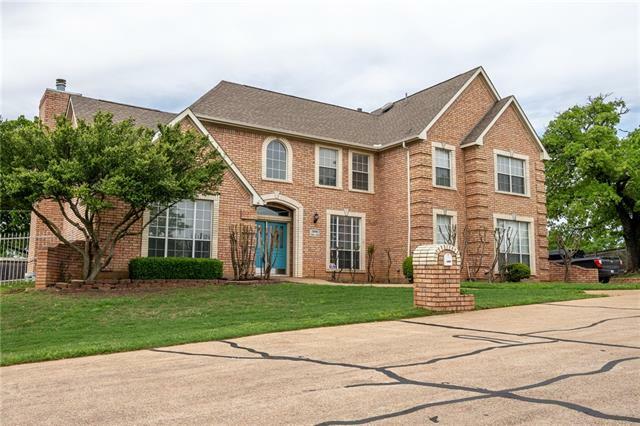 This home has a ton of upgrades - New Carpet and Hand scraped Hardwood Floors, Bathroom Floors, Tub, Tavertine wrapped shower, Master Bathroom, Custom walk in shower, Heated floors With thermostat. Remodel Jack and Jill Bathroom. Kitchen Remodel soft close hinges, Cabinet Hardware, New Kitchen Aid Appliances, New HAC Units American Standard 16 seer, new gas furnaces. Led Lighting Throughout House. New Quartz Plaster in swimming pool. 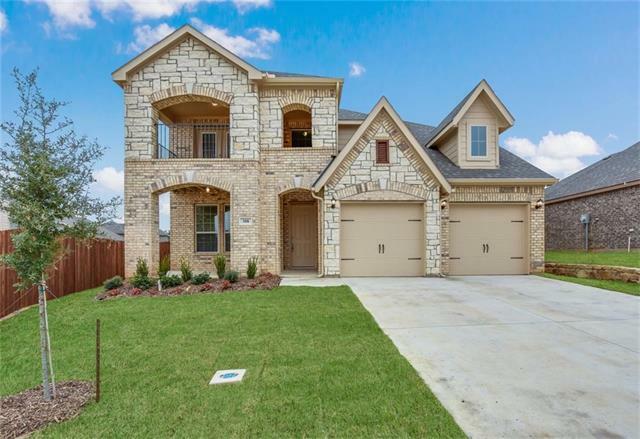 New pool filter and new pol"
"Beautiful 2-Story Home located in Kennedale, TX. 4,029 sq. 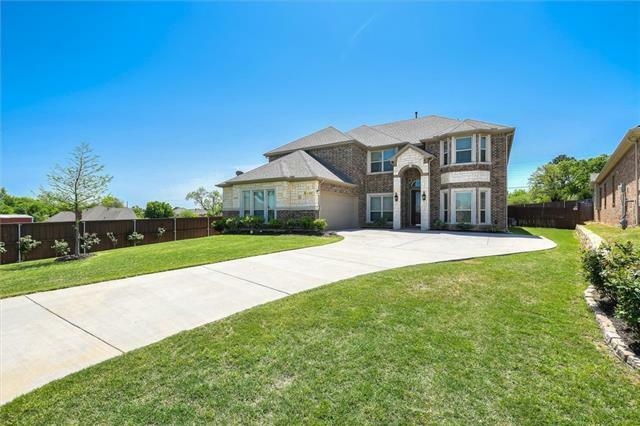 ft. house includes 4 bedrooms, 3 and one half bathrooms, Game Room, Media Room, Office or Study, Formal Dining Room, Butlers area and Walk- In Pantry, Breakfast Nook, Large Living Room, Kitchen, Separate Laundry Room and 2-Car Garage. House is located on a corner lot with nice front yard and large pool sized back yard with a covered patio." "Why waste 6 months and get builder grade features when you can have this wonderful one owner home in weeks with $75,000 in updates done for you! Wood floors greet you as you enter with formal dining room on left for those special events. Private office study just off kitchen. Kitchen boasts granite counter tops SS Appliances Island and breakfast bar. Soaring ceiling in large family room give that Grand Room effect, gas FP and lots of natural light. 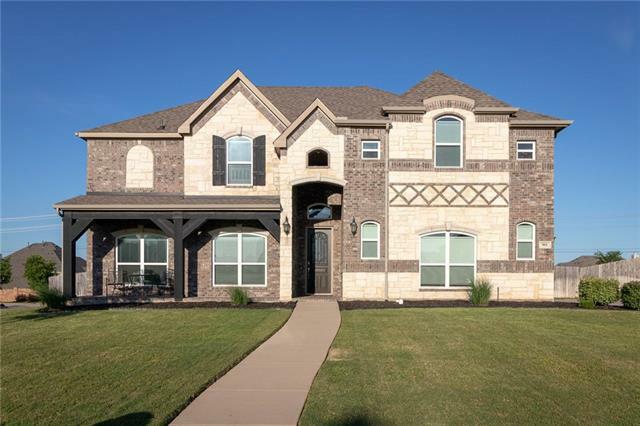 Oversized master bedroom downstairs master bath"
"MLS# 13962551 - Built by First Texas Homes - Ready Now!! ~ Beautiful large one story with stone sitting on an oversize lot, 4 bedrooms, 2.5 baths, 3 car garage, Large shower with seat in Powder bath, wood floor in select areas, 2 blinds throughout, Enlarge Master shower with seat, Double Ovens 36 Gas Cooktop, Upgraded Kitchen Backsplash, Covered back patio, Full sod front & back, tankless water heater, sprinkler system and much more!!" "Enjoy your own private resort style backyard with a beautiful swimming pool. Wonderful Property! Light, bright and open floor plan with views of the backyard pool. Open kitchen and breakfast bar, buyer can pick their granite with acceptable offer, samples are in the kitchen. Can be 5 bedrooms or 4 bedrooms with study. Master and additional bedroom down with two full and one half bath down stairs. Home has extra bonus room listed as office. Bonus room would also make a great craft room or sitti"
"SPACE GALORE! 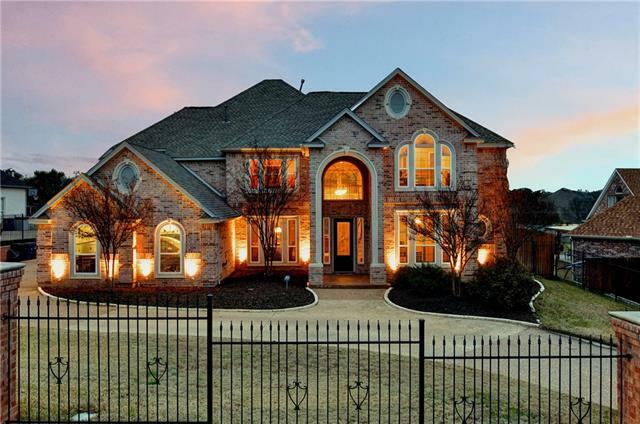 BIG bedrooms, BIG living spaces, BIG, master, BIG custom closets, BIG backyard! 3 CAR garage! 5 Bedrooms AND an OFFICE. 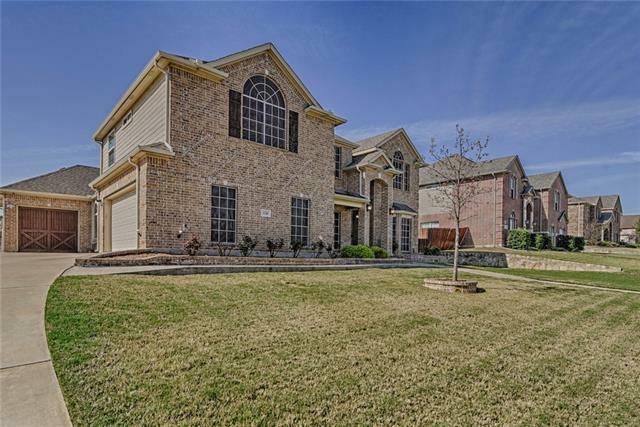 In highly sought after Kennedale ISD. Convenient to freeways and only 12 miles from downtown Fort Worth. Squeaky clean and move in ready. Beautiful entry with high quality storm door. Spacious living with gas FP, formal dining and ample casual dining area. Big kitchen with island, granite and DOUBLE OVENS and huge Elfa pantry. 4 bedrooms upstairs with a big game r"
"MLS#14062936 - Built by Impression Homes - CONST. COMPLETED Apr 09 ~ Beautiful Impression Homes Bristol plan. 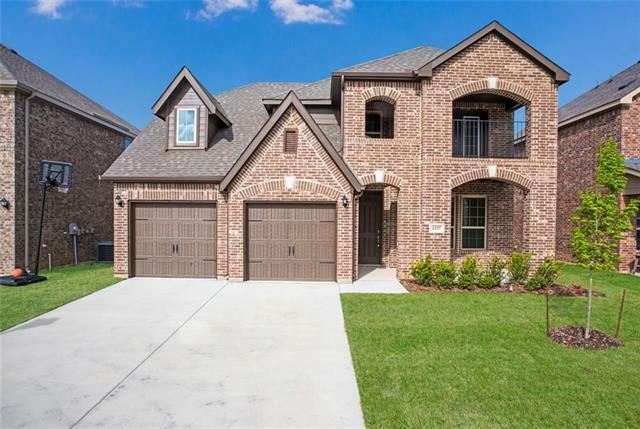 4 bedrooms, 2.5 baths, two-story home with brick and stone elevation in The Glen of Village Creek! This home is perfect for entertaining! Off of the entry, you will have a study with double French doors. The main living area on the first floor and includes a stone fireplace with cedar mantle. The gourmet kitchen is open to the large family room and breakfast nook. The owner's suite is o"
"MLS# 13968040 - Built by Impression Homes - CONST. COMPLETED Nov 06 ~ Built by Impression Homes - Beautiful Impression Homes Bristol Plan - 4 over-sized bedrooms, 2.5 baths, two-story home with brick and stone elevation! This home is perfect for entertaining! Master down and 3 bedrooms upstairs. The gourmet kitchen is open to the family room and breakfast nook. The owner's suite is on the first floor and has a custom shower, separate vanities and large garden tub. This home also features a cove"
"MLS# 13932672 - Built by Impression Homes - CONST. 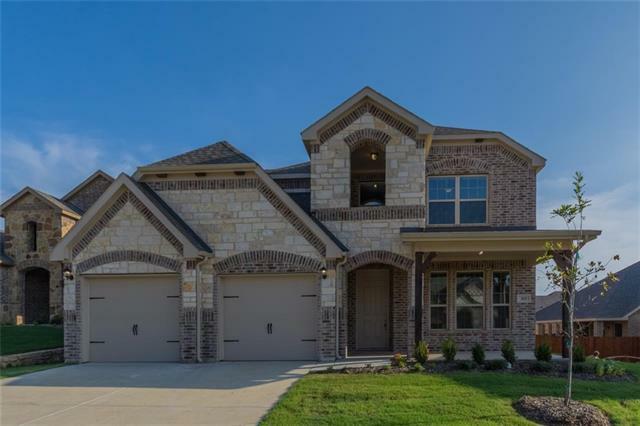 COMPLETED Sep 10 ~ Beautiful Impression Homes Bristol plan - 4 bedrooms, 2.5 baths, two-story home with brick and stone elevation in The Glen of Village Creek! This home is perfect for entertaining! Off of the entry, you will have a study with double French doors and hand-scraped hardwood flooring. The main living area on the first floor also has hand-scraped hardwood flooring. The gourmet kitchen is open to the family room with a fireplace and "
"Beautiful home in an established neighborhood, close to shopping, dining, schools, and with easy access to highways. The elegant interior is accentuated by large windows, decorative lights, and ceiling fans throughout the home. Huge living room with fireplace is perfect for entertaining. Kitchen has tons of built-ins and ample counter space. Master suite features a walk-in closet and a luxurious master bath with dual sinks, separate showers and vanities, and a garden tub. Spare bedrooms are spac"
"What a location for your horses! 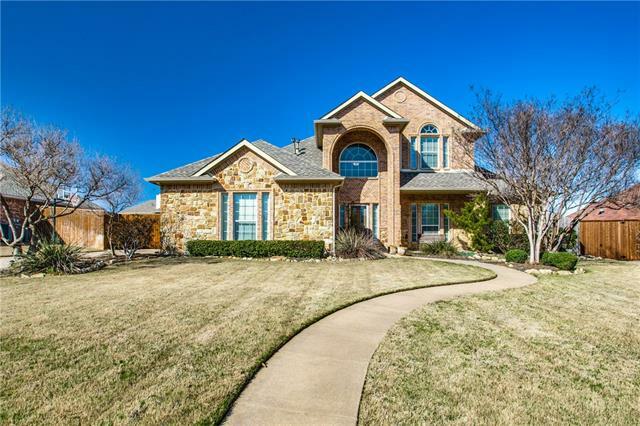 Kennedale is a growing community which means income potential. 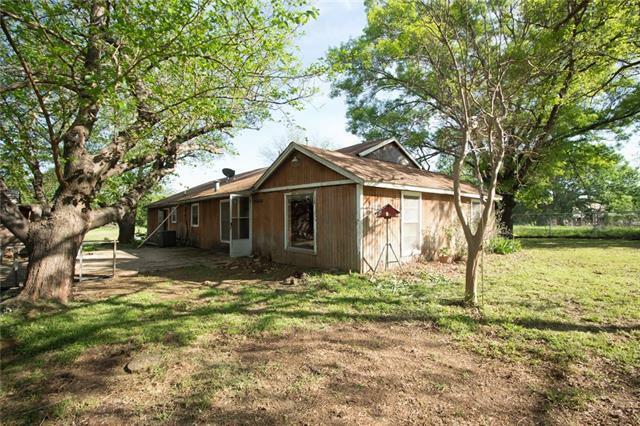 Property is 5 acres fenced with a 10-stall barn with tack room and holding pens. 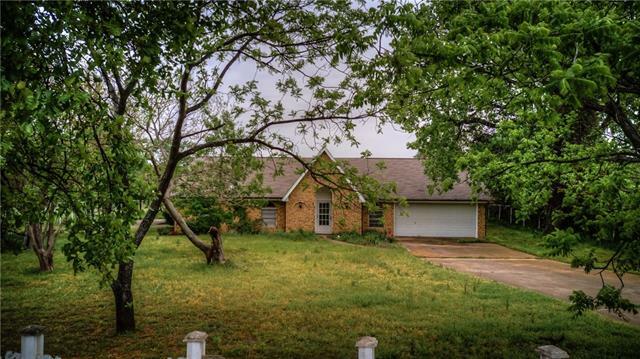 The home has great potential but needs to be totally updated. Property is being sold as is with no repairs." "GORGEOUS TWO STORY HOME ON PREFERRED OVERSIZED PIE SHAPED CULDESAC LOT. GREAT LOCATION TO RAISE A FAMILY. THIS HOME IS AWESOME AND IN GREAT CONDITION. THE UPSTAIRS HAS A MANCAVE OR MOVIE ROOM WITH BUILT IN SPEAKERS. MASTER IS LOCATED DOWN STAIRS AND AWAY FROM THE UPSTAIRS BEDROOMS.GREAT MASTER BATH AND CLOSET. LIVING AND KITCHEN OVERLOOK THE MASIVE PIE SHAPED BACK YARD. NICE WRAP AROUND BAR AND ISLAND WITH PLENTY OF CABINETS. HURRY HURRY THIS IS READY AND WILL GO QUICK. professional pictures com"
"THIS BEAUTIFUL TWO STORY HOUSE IS ON ALMOST HALF AN ACRE. 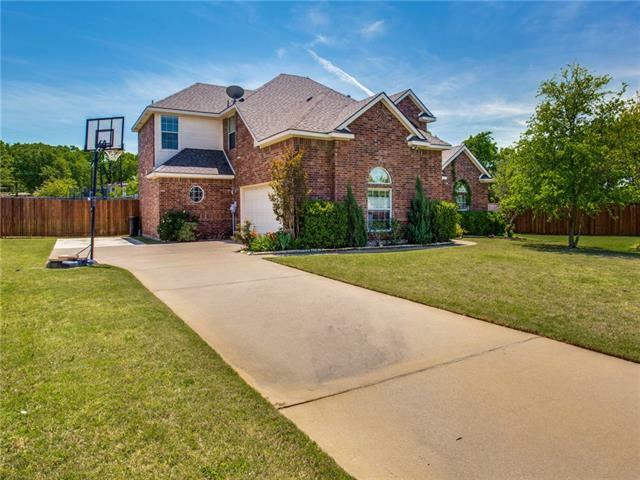 LOCATED IN HIGHLY SOUGHT AFTER NEIGHBORHOOD AND HIGHLY SOUGHT AFTER SCHOOL DISTRICT. THIS OPEN CONCEPT 3 BEDROOM 3 FULL BATH HAS AN OFFICE THAT COULD BE A FOURTH BEDROOM. THIS LISTING IS PERFECT FOR ENTERTAINING, FUN WITH THE FAMILY OR JUST COZYING UP BY THE FIREPLACE. MASTER BEDROOM WITH LARGE MASTER BATH WITH LAUNDRY CHUTE IS LOCATED UPSTAIRS WITH 2 OTHER BEDROOMS. GUEST BATH HAS JACK AND JILL SET UP. NEW CARPET & VINYL FLOORING, FRE"
"APARTMENT OVER DETACHED GARAGE! 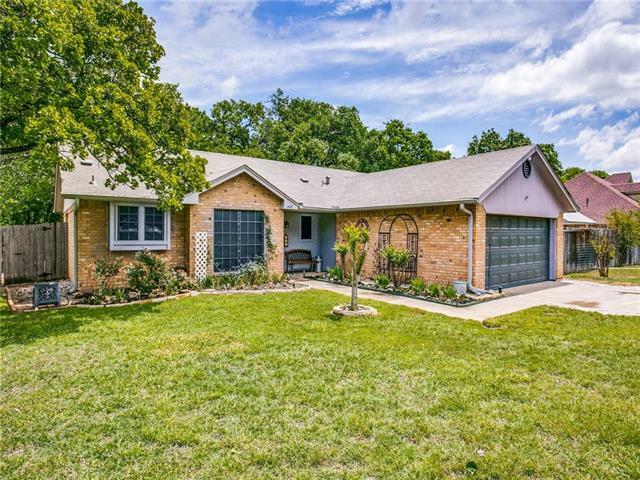 A total remodel in the heart of Kennedale with 3 beds (split master), 2 baths, kitchen, 2 living areas with WBFP in main house, 1 bed, 1 bath on 1st level, 1 bed, 1 bath, & kitchen on 2nd level in garage apt. with a huge, oversized 2 car garage. Do you have rowdy teens, or in-laws that need their own space? This is it! Just about everything is new, including low-e windows, granite, flooring, appliances, and paint throughout! 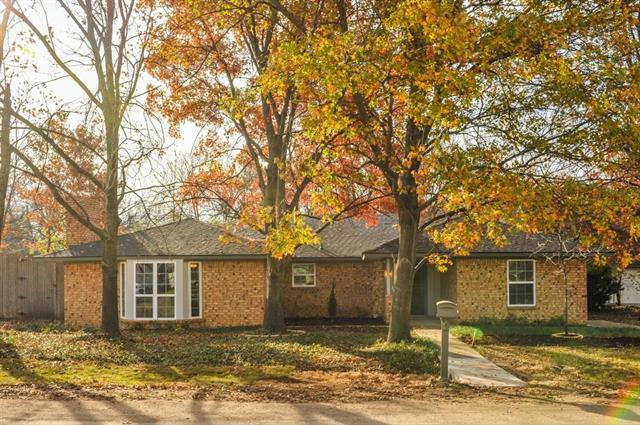 Minutes to I-20 (Loop 820), close to Bu"
"UPDATED HOME ON ALMOST HALF AN ACRE BEAUTIFUL LOT IN ESTABLISHED NEIGHBORHOOD. . LOTS OF CHARM CAN BE FOUND INSIDE WITH BUILT-INS , STAINED GLASS WINDOWS, BRICK FIREPLACE, DESIGNER PAINT COLORS AND A TON OF WINDOWS ALLOWING AWESOME NATURAL LIGHT. HUGE DINING ROOM TO ACCOMMODATE LARGE FAMILY GATHERINGS. KITCHEN WILL IMPRESS WITH A MULTITUDE OF CABINET SPACE AND STAINLESS STEEL APPLIANCES. MASTER IS SPACIOUS & HAS BAY WINDOWS LEADING TO THE MASTER BATH WITH DOUBLE SINKS, WALK-IN CLOSETS AND SEPARA"
"Location, Location, Location! Beautiful home located in a quiet cul-du-sac on a corner lot just blocks away from a city park. This home offers two living areas one upstairs and one down. The master bath has his and her walk in closets. The laminate flooring starts at the stairs and continues through the upstairs living area. Beautiful mature trees cover the backyard. 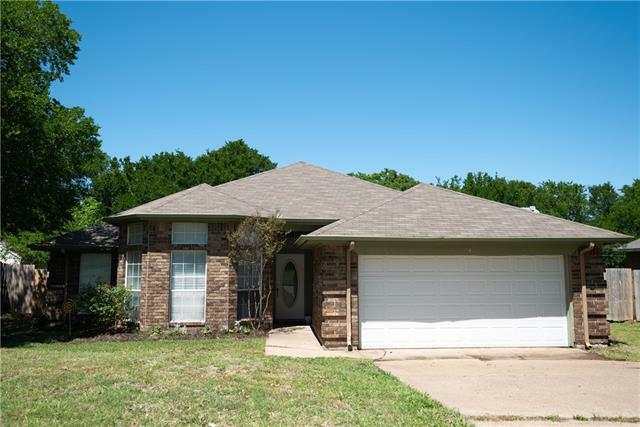 Storm doors have been added to the front and back door, sprinkler system, surround sound, and garage spring has been recentl"
"Wonderful, move-in ready home that's great for entertaining inside and out! Newly remodeled bathrooms and master bedroom with excellent decorative touches throughout the home. Kitchen and living room are combined in a central open floor plan with breakfast bar and fireplace. Barn door entry to the dining room in the front with plenty of light. Backyard has bench seating enclosing the patio around the huge deck with plenty of room for cookouts and outdoor living. Come see soon, won't last lo"
"Single story 3-2-2 with lots of updates. Great drive up appeal. Amazing wooded, over sized lot. Beautiful engineered wood flooring in living , eating area and hallway. Stone accents on entry pillar and wood burning fireplace. Kitchen features tile flooring, upgraded stone trim back splash, window garden and more. Fridge can stay. Large master with Texas sized bath. Good sized secondary bedrooms. Large open patio. The back yard has fire pit area and beautiful trees. Roof only 3-4 years"
"This home is very unique for its amount of acreage and having wonderful trees. 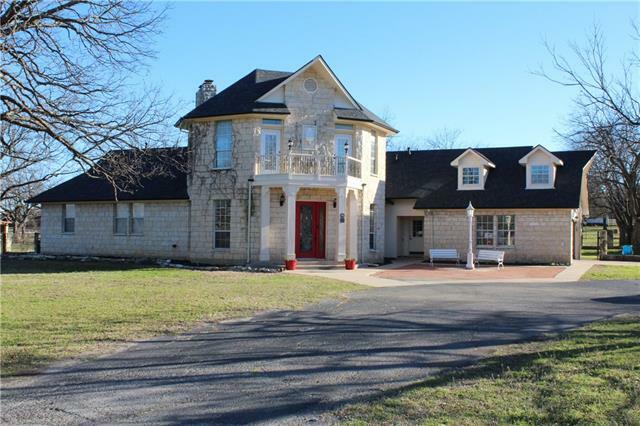 This house has an easy access to 820 and I20. Also the home is a great opportunity for remodeling. Don't loose your opportunity to invest."